I LOVE to bake… the guys at Southern Accents LOVE to eat. It works! If you live down south, this time of year conjures up thoughts of pecan anything! 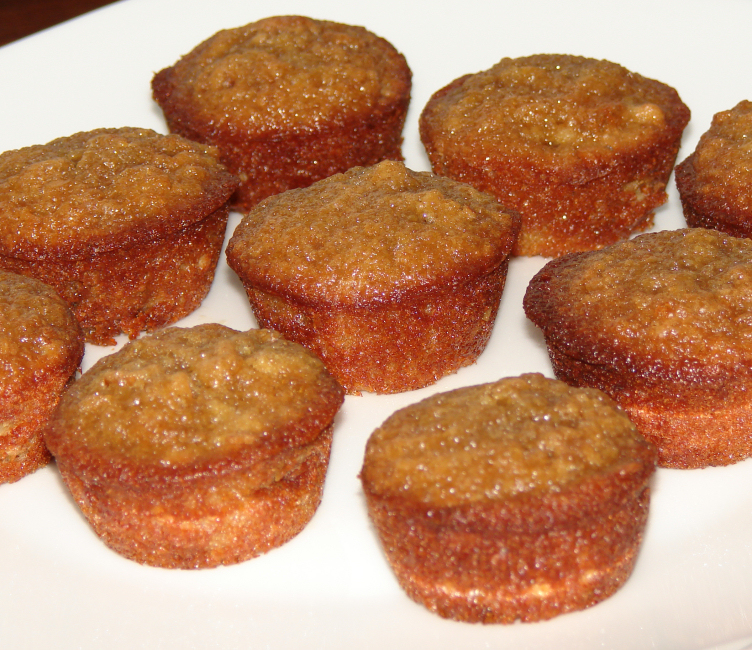 My fav is probably pecan pie but I also have this incredible recipe for mini pecan pie muffins that is fabulous!!! Pecan pie in muffin form… oh my! I baked up a batch and brought them in to the store. They disappeared rather quickly. SCORE! Preheat your oven to 350 degrees. Mix the brown sugar, flour, salt, and pecans together and set aside. Lightly beat the eggs in a separate bowl. Slowly drizzle in the melted butter and whisk together. Add the vanilla and molasses and whisk until incorporated. Add wet ingredients to dry ingredients and stir together. The batter will be rather thin. Spray your mini muffin tins with a non stick cooking spray. Pour the batter into the tins, filling to the top. Bake at 350 for 15 to 16 minutes. Cool slightly on a wire rack. Remove muffins from tins and enjoy! Makes 24 mini muffins. *Notes: if you use the dark, non stick tins, turn your oven down a few degrees. My oven bakes these muffins in 15 minutes in the dark pan at around 330 degrees. Bake time will vary depending on the pan you are using and how your oven functions. Watch the muffins and remove them as soon as they look like they have set. I use a small “cookie” scoop to fill my tins. It looks like an ice cream scoop but smaller. It is the perfect size for mini muffins and cupcakes. Do NOT bake these in the cupcake liners. This muffin is a gooey, chewy delight and will stick to the paper. You will loose about half your muffin to the liners. Yes, the recipe is correct. There is NO baking powder or baking soda in this recipe. This is why the recipe will NOT work in regular size tins. On a regular basis we have the opportunity to salvage materials from a home that is scheduled for demolition. We survey the property, determining what items can be reused or re-purposed. We then have the humbling task of tearing it all apart. Once we leave, a demolition crew comes in to finish the job. Quite often as we are tearing out walls and windows, someone will stop by and share with us their memories of the property. Sometimes it is a neighbor stopping out of curiosity. More often, it is a family member that had spent time in the property. They usually hold a sentimental attachment to the fond memories of the property and are often seeking a remnant of their past. This was the case with a home that we salvaged in Hanceville, Alabama recently. The home, dated around 1907, had seen better days. It was badly weathered and neglected. The tornados that passed through this area in April 2011 did further damage, leaving the home in irreparable condition. As we began our salvage work, we were approached by a lady who told us that the home once belonged to her grandmother. She shared her memories of better times when the house was full of life and asked if she could purchase the front door. The door, decorated with beautiful multi-colored stained glass panels around the window, had already been sold. Knowing the sentimental value the door held to our new friend, we contacted the buyer, asking if she would consider relinquishing the door to the granddaughter. The buyer was very gracious and agreed to pick out a different door for her own home. 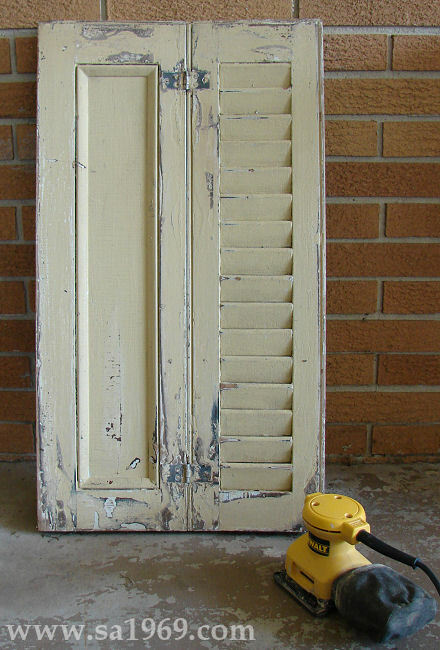 When salvaging a home we also, at times, uncover unexpected hidden treasures. Most often these treasures are found behind the mantel. Letters, photographs, coins and cards, typically small items that were once placed on the mantel and somehow found their way behind it, forever trapped. This home was no exception. As we tore out the mantel we discovered an empty space in the wall around the fireplace. It was filled with all sorts of trash. Among the trash and rats nest there was an item that stood out; a child’s shoe. We hurriedly grabbed several items and threw them in the back of the truck. The home was scheduled for demolition so we had a limited amount of time to take what we could and leave. The little girls’s shoe remained in the back of the truck, forgotten, for several days. We remembered the shoe and out of curiosity, took it to the local cobbler who dated the girl’s leather high top from the 1920’s to 30’s. As he explained, these handmade shoes were typically passed down from one child to the next. From the condition of this shoe we can only imagine that it had seen a lot of play on multiple little feet. We had the shoe cleaned, oiled and stuffed. We shared our treasure with the granddaughter who then brought us a picture of her grandmother’s house as well as an old family portrait. Low and behold, there on the back row is a young girl wearing a strangely familiar looking shoe! We love hearing stories and shared memories which give us a unique glimpse into a home’s history or provenance. We also understand the value, though sometimes only sentimental, that personal artifacts and architectural salvage can hold for a family. We delight in being able to preserve a piece of history and perhaps a memory or two. It gives us another story to tell and we love to tell stories. Stop by our showroom. We will have the shoe on display for a short time. It will then be given to the granddaughter to preserve for future generations. My teenage daughter recently decided that she had outgrown her lime green bedroom with hot pink and orange flowers painted on the walls. I spent days meticulously hand painting those flowers! I had even added a butterfly or two in the mix. Together we had collected a variety of ‘cute’ colorful items to add to the already bright decor. I was a bit hurt that she wanted to paint over my masterpiece. Not one ounce of sentimentality in her request. I had to remind myself that it was only a wall and she’s no longer a little girl. I think what hurt more was the realization that my little girl has grown into a stunning young woman. It was time to trade in the cute for cool! She wanted to go with a Vintage look. I work at Southern Accents. I can do vintage! I’m working on several projects for her bedroom that I want to share as I complete them. 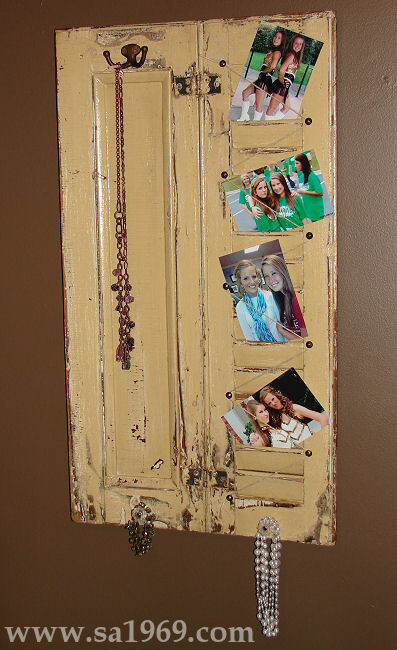 The first are these awesome message boards made from reclaimed barn wood and old ceiling tins. 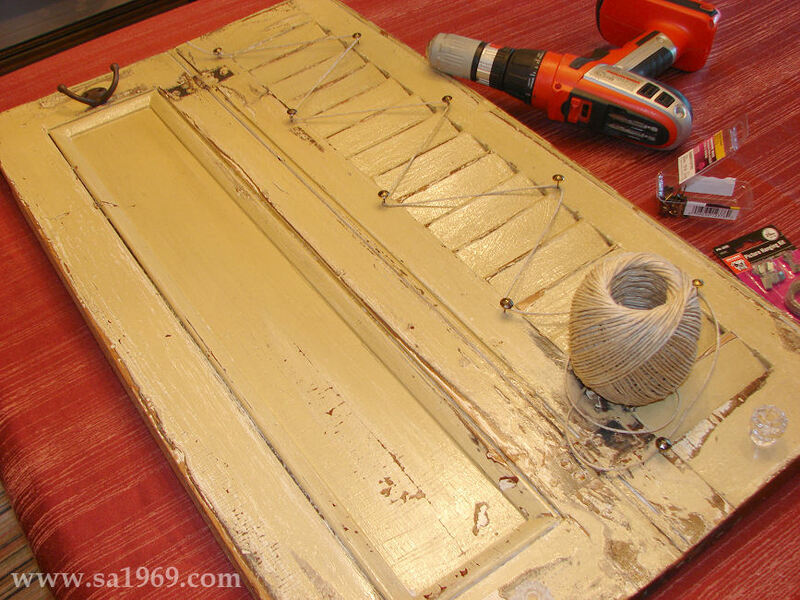 Last week I added old ceiling tins to our weekly specials page. There are several stacks of tin in various sizes and colors in the warehouse. There’s also always a stack of salvaged wood laying around here somewhere. I have seen a variety of these message boards floating around Pinterest that I really liked. I also saw some beautiful boards a couple of weeks ago at Bella Rustica. Having all this tin and wood around me I decided to play around with a few pieces to see what I could come up with. I’m pretty handy with tools but have been in a major time crunch lately so I called in a friend to help. Leldon is one of the guys around the store that we call on from time to time for some of our small wood working projects. I showed Leldon the tin and told him what I had in mind. Two days later he had two pieces of the tin framed and ready to hang! Way to go Leldon!! My only problem now is deciding which one I want for her bedroom! I pictured both boards and posted them on the website since we have plenty of tin and wood and I know I can call on Leldon to ‘whip up’ some more if needed! Sitting here looking at the boards for a few days I kept thinking something was missing. How can you have tin message boards without magnets to hold the messages?! I began scrounging around the store looking for small items that could be used for magnets. The first place I headed was the old antique coke machine. We keep the machine stocked with those old fashioned glass bottled coca-colas. I decided those red caps would make pretty cool magnets. I purchased a large pack of round magnets at Hobby Lobby and used a little E-6000 glue to attach a magnet to each cap. Easy peasy! The next trip around the store saw me return with a hand full of really cool odd and end hardware pieces. Definitely cooler than the bottle caps and very vintage!! I would love to find some old pieces of vintage jewelry and turn those in to magnets… I can see a trip to the local flea market in my future! There are a lot of items that could be used to create magnets: old beer bottle caps, old buttons, legos or lego men. board game pieces, wood blocks from an old scrabble set. You can change the look of the board by changing the magnets. These boards are really simple to make. The ones shown have the mitered wood frames but you don’t have to miter the wood. 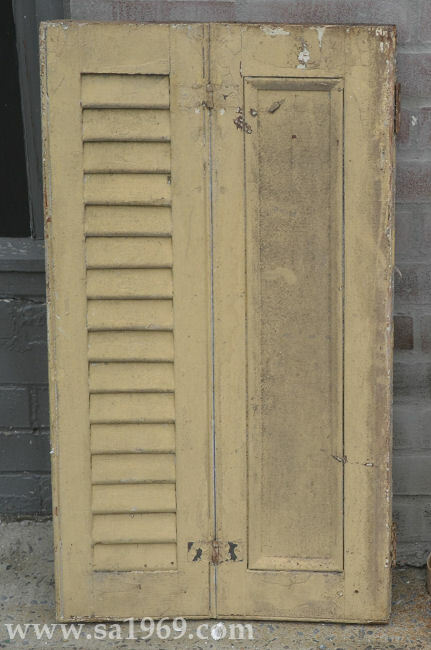 We have a good variety of tin and lots of salvaged wood and beadboard. Some with a natural finish and some with chippy paint. The only other thing needed is a few small nails and some wire for hanging. If you are like me and time is an issue we have constructed a few boards available for purchase. Since I can’t decide which board I like best I guess I will let my daughter choose…then again, we just got in some awesome red beadboard…maybe I’ll give Leldon a call! “Fixed the Newel Post” is a well known line in Chevy Chase’s “Christmas Vacation”. This “plot device” was used in jest to reference the wobbly ball cap finial that George grabs in “It’s a Wonderful Life”. Who can forget the majestic newels that adorn the red-carpeted staircase in “Gone With The Wind”. This staircase, which was patterned after the Jefferson Hotel in Richmond, Virginia, is framed with large newel posts at the top and bottom, each adorned with magnificant lights. Have you ever given thought to the history of the newel post? It is quite intriguing and replete with long standing myths. The primary purpose of the newel is structural although many posts are a major design element in a home. Grand staircases typically had two newel posts, larger and fancier than the other balusters of the staircase. Most newel posts are topped with a finial, the purpose of which serves to have something to grasp when ascending the staircase. Posts without a finial would often have a light or lights mounted on top, as seen on Scarlett’s grand staircase. Newel posts were mostly hand carved prior to the mid to late 19th century. It was during this time that advances in technology allowed the posts to be machine made, making them more affordable for most home owners. Posts can be solid wood, made of any variety of wood species, or hollow. It is the hollow posts that lend itself to some interesting speculations. Stories passed down through generations claim that the hollow posts were used as a secret compartment in which valuables were stored. Some stories say that the home builder would place a coin in the compartment upon completion of the home. Was this done for good luck or perhaps an attempt to ward off evil spirits? Others describe this chamber as a storage place for the house plans. A more common myth states that once the mortgage on a home was paid in full, a hole was drilled in the top of the post. Newel post purchased from Southern Accents. Light installed by new owner, Tanya McMaster. The deed was then rolled up and placed in the post or burned with the ashes interred in the hollow space. A small button, known as a “mortgage button” or “amity button”, typically carved of ivory, whale bone or mother of pearl, was inlaid in the center. This button signified that there was no lien on the property. Mortgages as we know them didn’t exist until the creation of the FHA in 1934. There is little evidence to suggest that mortgage papers were placed in the newel, but mortgage buttons do indeed exist to this day. Many homeowners, specifically in the New England area, will cap their newel post with a button to signify the retirement of their lien, keeping with this long standing tradition. 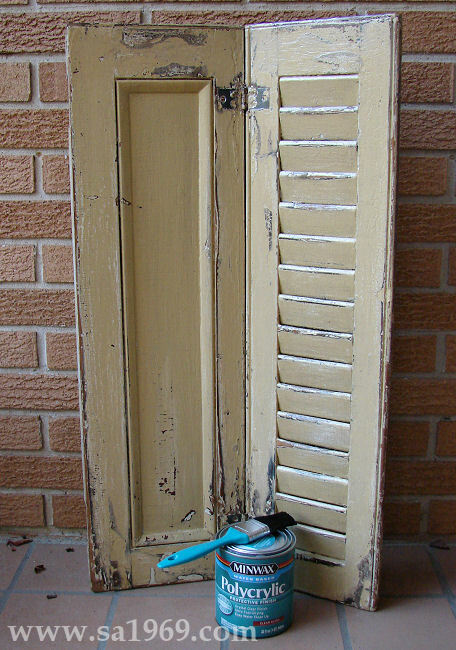 Secret compartments are intriguing and have always lent themselves to imaginative story telling. Perhaps these old hollow posts did house priceless treasures and important documents. If not, it is an interesting idea! Southern Accents has well over 100 antique newel posts in our showroom. Some have been fully restored to their original beauty, some need a little tender loving care. Most are single posts but we do have a few pairs and sets available. What hands have grasped the finial of these old posts throughout the years? What secrets do they hold? Only the posts themselves know. Secret compartment or not, the newel post can be a real conversation piece and major architectural element in your home. Stop by our showroom or visit our website to view our collection of Newel Posts. Here we go again… every time you think you’ve got Facebook figured out they throw another monkey wrench at you! Facebook recently announced that it had reached 1 billion users. Facebook also reported $992 million dollars in ad revenue last quarter. Still investors remain leery. CNNMoney reports that Facebook’s top corporate priority is to increase those figures. I guess it makes sense that Facebook now wants businesses and even individuals to pay to have their posts promoted??? 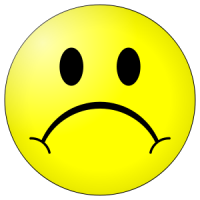 In recent weeks we have seen some of our posts going out to as few as 9% of our followers. On average our posts are reaching less than 20% of our followers. Facebook is only sending out posts to a small percentage of our followers and are asking us to pay for the rest. While we may choose to promote a post here and there, it is not financially feasible for any small business, and certainly not individuals, to pay to promote every post. WE VALUE OUR CUSTOMERS! Without you we would not be in business. We want to keep you informed. We have new items arriving daily at our store. We run weekly specials and giveaways and we want everyone to have the opportunity to take advantage of what we have to offer. 1) Subscribe to our NEWSLETTER. You can easily do this by visiting our website at www.sa1969.com. You can click on the Mailing List link or use the easy subscribe field on our front page. We only send out one (1) informative newsletter per week. We promise not to bombard you with daily dribble! This is the easiest and most effective way we have to communicate with you. 2) Subscribe to our BLOG. We will be using our blog more to communicate with our customers. Not only will we be posting interesting information but details on GIVEAWAYS, SPECIALS as well as DIY projects. You can subscribe by entering your e-mail address. The subscribe box is located to your right. 3) If you want to receive our facebook posts, and we hope you do, there are two things that you can do to help insure that you hear from us! The first is to like, comment, and share our posts. The more interaction a post has the more likely it will be promoted by Facebook. 4) Second, create an Interest List on your Facebook page. We know this is asking a lot but it is easy to do and only takes a few seconds. Log in to your Facebook account. Go to Southern Accents Facebook page. To the right of the LIKE button is a drop down menu. From that menu click on the “Add to Interest List”. If you do not have any Interest Lists created you can do that easily by clicking the New List option. All you have to do is name your Interest List and then select Southern Accents and any other pages you have ‘liked’ that you want to hear from to add to your list. Once the list is created you can view all posts from your Interest List by clicking on your Created List under the Interests heading which is located on the left hand side of your facebook newsfeed page. We have sent negative feedback to Facebook regarding this most recent policy change. Not only is it affecting businesses but as an individual, Facebook is choosing to block content that I have asked to receive. THANK YOU FOR SUPPORTING OUR BUSINESS AND OUR POSTS! We thoroughly enjoy hearing from you and interacting with you via our social media accounts! Please share this information with your friends. Let’s keep it going!! This past Saturday kicked off Cullman, Alabama’s annual Oktoberfest Celebration. 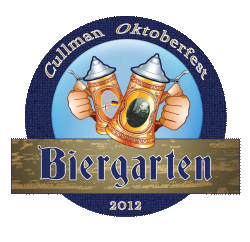 In it’s 31st year, Oktoberfest celebrates Cullman’s rich German heritage with a week long schedule of events. A variety of musical entertainment, German cuisine, various tours and other events are taking place around town during the week. This Saturday promises no shortage of fun events for the entire family!! 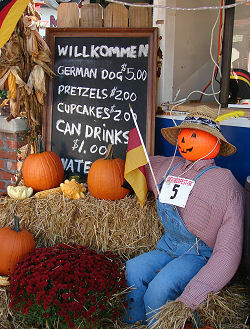 Stop by Southern Accents to pick up Oktoberfest information or visit www.cullmanoktoberfest.com for a complete schedule of events. Saturday morning starts early with the annual Oktoberfest 5k and 10k run at 7:00 am. For the more adventurous, this year offers a first time event: the Oktoberfest Mud Run at Stony Lonesome OHV Park. Racers will be challenged both physically and mentally as they make their way through this fun obstacle course. Race begins at 7:30 am. Expect to get dirty!! Perhaps you’re more of the couch potato kind… you may want to get in on the Oktoberfest Bed Race at Depot Park which begins slightly later at 8:00 am. Not forgetting our four legged friends, the Hundfest Doggy Events promises lots of fun and laughs with the Wiener Dog Race and Pet Parade. Registration for these events and many others begins at 9:00 am at Depot Park. While in the Depot Park/Festhalle area you can also enjoy arts and crafts, a bratwurst eating contest, carriage rides, lots of good eats and plenty of festive German folk music. Cross the street and round the corner on to Clark Street and you’ll bump into the Biergarten sponsored by Smith Farms. Each night for the rest of this week you can enjoy awesome entertainment, including one of our favorite bluegrass bands Rollin’ in the Hay who are set to take the stage Thursday night at 8:00 pm. Enjoy a catered “all you can eat” meal Thursday – Friday night from 6:00 – 9:00 pm and Saturday from 12:00 noon – 9:00 pm for only $15 per person. Meal includes one beer ticket and wine sampling. Saturday, sit back and enjoy the Alabama and Auburn football games as they are broadcast on the BIG screen! Visit Smith Farms on their Facebook page for a complete schedule of events at the Biergarten. An event that we are super excited about is the 2nd Annual Oktoberfest BBQ Challenge. This event sponsored by the Cullman Women’s League is an officially sanctioned Kansas City BBQ Society state championship competition! Teams from all over the country will be competing for bragging rights, big prizes, and a bigger trophy. The sweet smell of smoked cuisine will be wafting from the fair grounds on Sportsman Lake Road starting at 9:00 am. The day long event will include a huge kids area full of free activities. A variety of food and drinks will be available including a beer tent for those celebrating Oktoberfest in the traditional style. Locally favorite bands will be taking the stage throughout the day including the Blake Scott Band, Barflys, Microwave Dave & The Nukes and Chad Bradford. Admission is only $5 per person with Senior Citizens 65+, Military (active duty, retired, veterans) and Kids 5 and under admitted for free. Visit the Oktoberfest BBQ Challenge website for detailed information or to register for the Kamado Joe “Whole Meal on the Grill” cooking demonstration. This $10 per ticket event begins at 11:00 am under the pavilion and includes a cooking demo, meal and goodie bags. This is an event not to be missed! Southern Accents will be open Saturday from 10:00 am – 4:00 pm… we’ll also be out and about town enjoying all the festivities! Stop by the store, grab a cold drink and pick up a schedule of all the fun activities! While you are at the BBQ contest be sure and say hello to ~The Pig! Have you entered our $100 gift certificate GIVEAWAY yet? What are you waiting for!!! Visit us at www.sa1969.com to enter! My alarm clock rang early this past Friday morning. 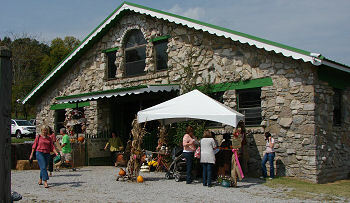 I had purchased two early bird tickets to Bella Rustica in Pulaski, Tennesse and I meant to get there early. My friend Patty, who is by nature an early bird, and I hit the interstate and headed north. It was an easy drive… pretty much a straight shot from Cullman, Alabama. We would have been there by 8:00 am, probably first in line, had we not been chatting and missed our exit off the interstate. Thankfully we did not venture too far into Tennessee before we realized our gaffe. We took the next exit, turned tail, and got back on track. It was a gorgeous drive. Driving north into middle Tennesse always is. We could not have asked for better weather. An hour and a half after our departure and only a few minutes off course, we arrived at Milky Way Farms! If you love antiques, vintage goods, and repurposed items, this was definitely the place to be. The organizers did an excellent job screening the vendors. The booths were all very well done. The merchandise offered was exactly as expected. A wide range of antique items and small furniture as well as a lot of creative goods made from salvage material. Even the local church ladies got creative by placing delicious cakes in jelly jars, labeling each jar with the cake name and even attaching a spoon to the jar with a piece of string. Yes, we had cake. Actually we had cake before lunch… this was a special occasion! We made our way through the restored stone barn which was a beautiful sight in itself. We then ventured to the few outdoor booths and continued to ooh and awe over all the goods. We grabbed lunch which was also delicious! I’m a true foodie and am a really hard sell when it comes to eating out. I typically walk away from most meals proclaiming “I like mine better”. For me to proclaim something as being delicious is HUGE! I had a BBQ taco and it really was scrumptious. I had hoped to hang around for the workshops that were scheduled for later in the day but by noon the crowds had arrived, the dust and hay got the best of me, and I had to move on down the road. I was so disappointed that I did not get to sit in on the workshop as I’m sure it was wonderful! Milky Way Farms was offering tours of the manor during Bella Rustica. We could not pass up the opportunity so before heading home we headed towards the manor. It is spectacular! The 25,00 square foot home, built in 1931-32 by Frank Mars, boasts 21 bedrooms and 14 baths. The architecture throughout the home was splendid. Arched doorways throughout. Iron gates inside the home leading to an incredible dining room that houses the largest known privately owned dining room table in the United States. The view from all rooms was breathtaking. As incredible as the home was my favorite part of the tour were two stone cottages that sat within a stone’s throw from the manor. Each single room dwelling was built with the lay of the land. One of the cottages was curved on one side, the walls and ceiling within covered in bead board. The exposed rafters from within look new, giving hint to the idea that these beautiful buildings are being lovingly restored. I hope that is the case. History records that this majestic farm was once home to 30 barns including the world famous “crooked sheep barn”. Most of them are no longer standing, the exception being the stone barn that hosted Bella Rustica this past weekend. As we were exiting the farm I had to stop and snap one last picture of this old barn. It is sad to see what used to be a grand dwelling, possibly for one of the thoroughbred horses this farm once housed, slowly deteriorating. As much as we love barn wood at Southern Accents, we would love nothing more than to see this barn restored to it’s original splendor. If you happen to be within driving distance of Milky Way Farms, it is worth the trek to visit the manor and tour the grounds. You can visit their website for information on the farm, tours, and events.